Noah's Parents' journey. A baby with no desire to eat, tube feeding, and no diagnosis. 8lbs, 4 oz & 21"
Esther and Darlene are doing well. Yes, this is a bit earlier than we originally thought. The section was rescheduled from the 10th to the 6th. Surprise! My name is Darlene and I am wife to Jared, a fantastic husband, and mommy to a spectacular son named Noah and a beautiful daughter named Esther. I have a Bachelor of Arts and a Bachelor of Education. I am currently on a break from teaching middle school as I raise my children. I adore teaching and helping students find their passions in life. Jared and I pray that both our children will grow up to serve and follow God. Noah has been tube fed (NG then g-tube) since 2.5 weeks old. He was born on November 24, 2009, completely healthy at 8 lbs, 13 ounzes. Noah never ate very much at all, could never properly breast or bottle feed, had a disorganized mouth, low tone, and developed severe reflux. In June 2010 he had a fundoplication and gastric stomach tube insertion. We have had many complications since that time and continue to struggle with the journey of tube feeding. Noah has no known diagnosis despite having had oodles of tests. He is a delightful boy despite all his challenges. 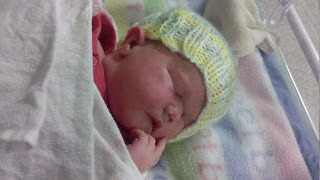 Our daughter Esther Juliana was born on May 6, 2011 and we are learning the ropes of being parents to 2 kidlets. What a joy.